This workshop brought together Syrian local and diaspora groups providing humanitarian assistance inside Syria with international non-governmental organisations, multilateral agencies and donor community representatives to discuss the challenges. It constituted a forum for Syrian local and diaspora groups providing humanitarian assistance to Syrians inside Syria to meet for a frank and open dialogue with the international donor community as well as with international organisations to examine ways to confront the challenges in responding to the requirements of those in dire humanitarian need in areas controlled by all parties to the conflict, which approaches its fifth year. 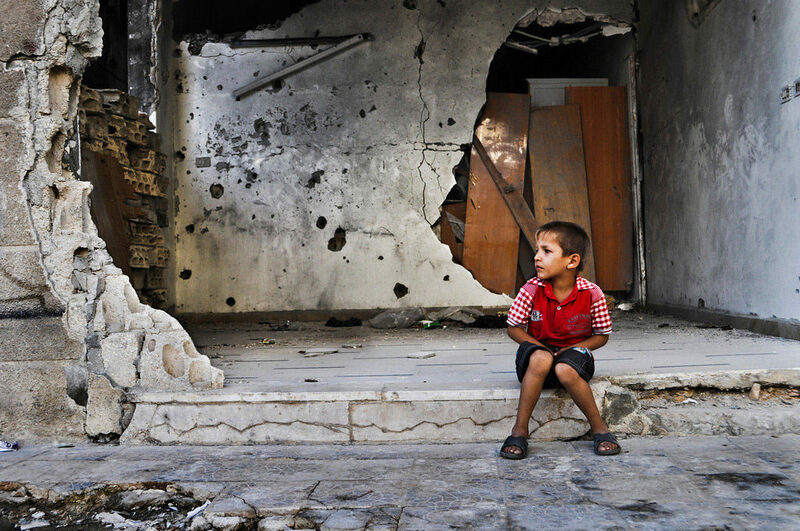 Syria has entered its fifth year of civil war and currently presents the world’s largest humanitarian crisis. With no resolution of the conflict in sight, humanitarian organisations are facing challenges that seriously hamper an effective humanitarian response. International organisations have increasingly limited access due to restrictions imposed by either the government or armed groups in Syria. This gap has been filled by Syrian local organisations, using their connections and networks in the country to provide aid and protection to the population. However, these local groups also struggle to maintain their operations, in part due to the difficulty in accessing funds. The way in which humanitarian action is conducted, the lack of cooperation and trust between organisations, the impact of counter-terrorism legislation and international sanctions, as well as the lack of flexibility in funding need to change to enhance humanitarian action. In order to confront these issues there needs to be a narrative centred on the Syrian population affected by the conflict, as well as genuine partnerships enabling local and international organisations to complement one another and work more effectively. Core, long term, flexible funding for Syrian organisations is vital in order for them not only to continue, but to strengthen their work. Appropriate training, adapted to their specific needs, would also enable local organisations to attain a more professional level, thereby meeting generally accepted professional standards. Possible concrete measures include the creation of new umbrella frameworks or platforms among local Syrian and diaspora groups to provide information exchange, coordination and adequate training. These would bring together creative ways to look at funding, and promote joint advocacy and partnerships. Openness and commitment is crucial for the emergence of a renewed efficient aid model in Syria and functional ways for international and local groups to work together. Financial Action Task Force (FATF) – an inter-governmental body established in 1989 to set standards and promote effective implementation of legal, regulatory and operational measures for combating money laundering, terrorist financing and other related threats to the integrity of the international financial system.